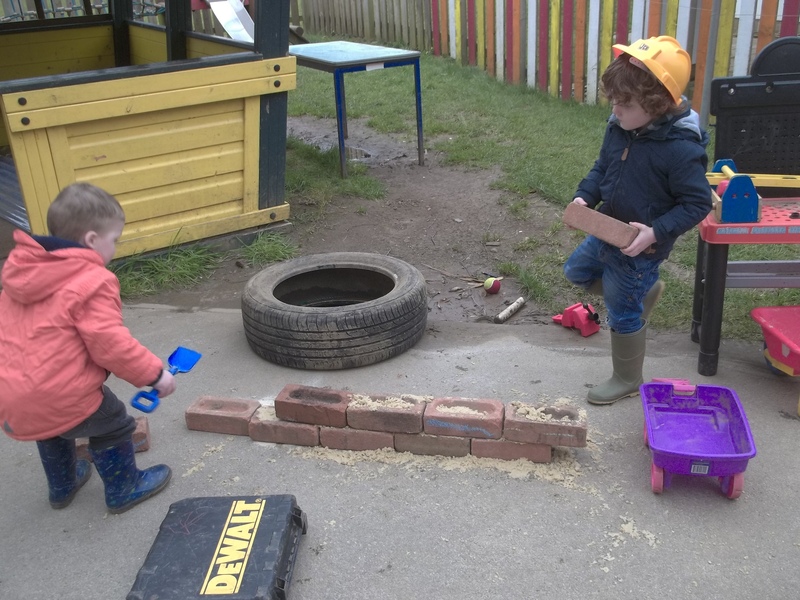 We started off with a pile of bricks and worked together to build a wall! 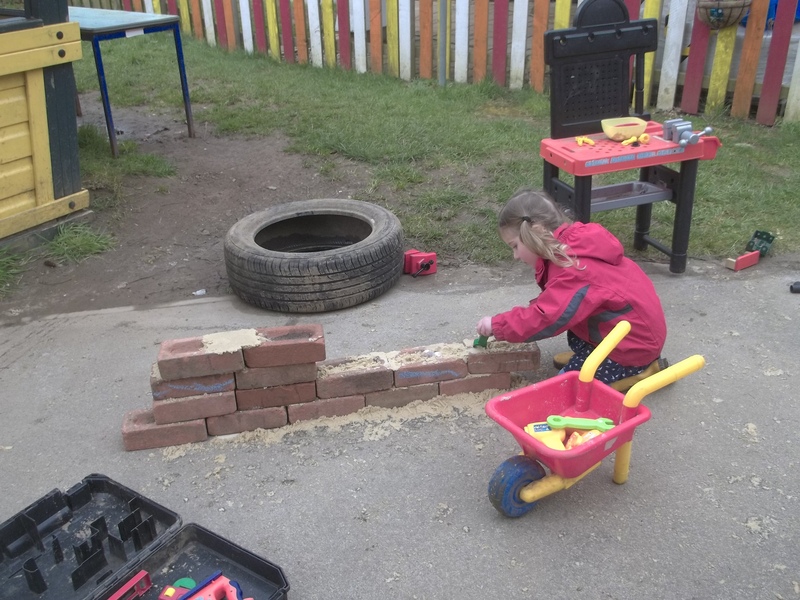 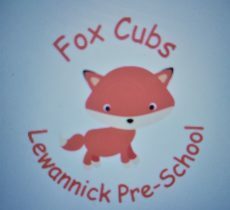 We all worked as a team to build a wall with bricks and ‘cement’. 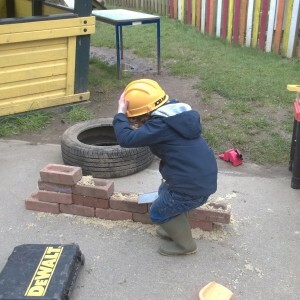 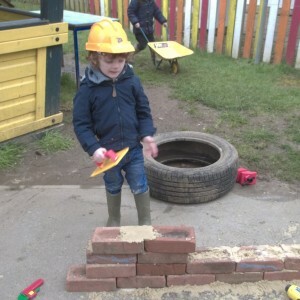 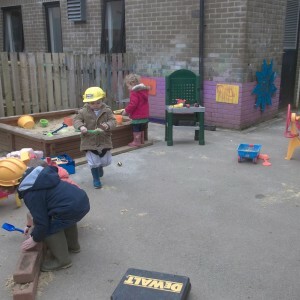 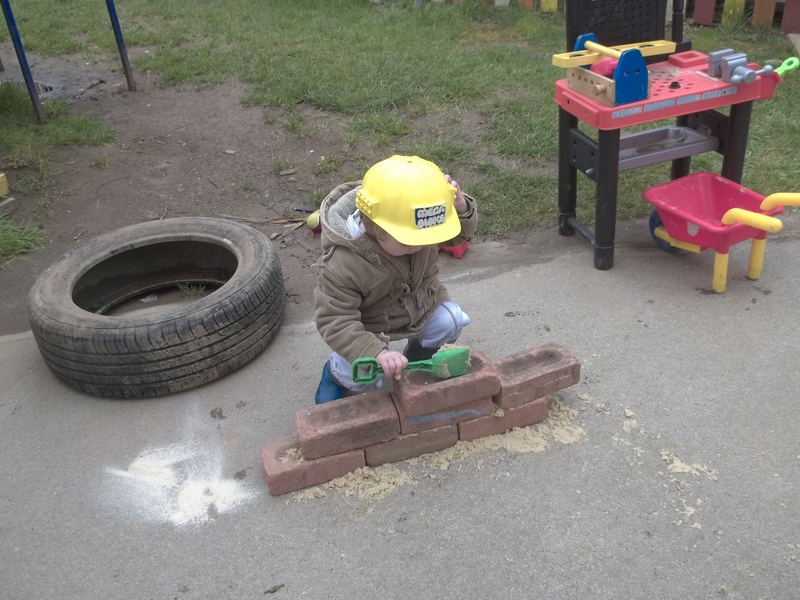 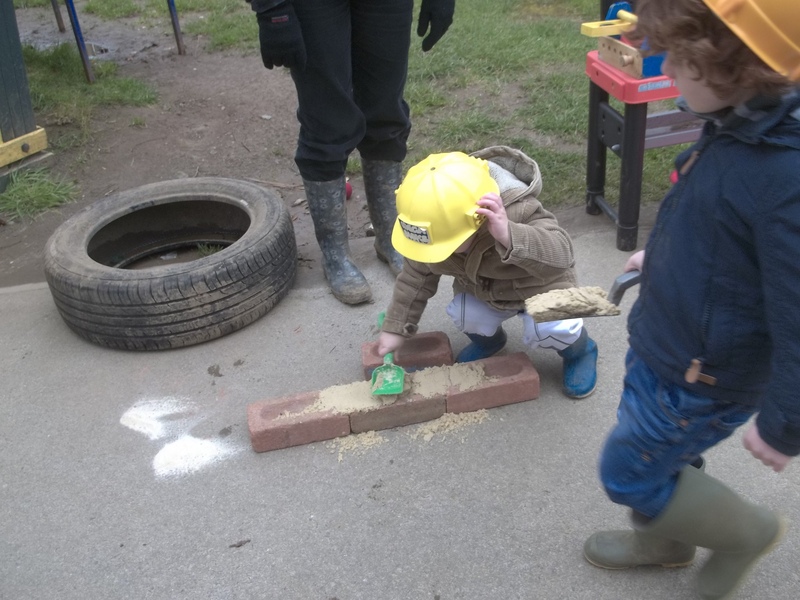 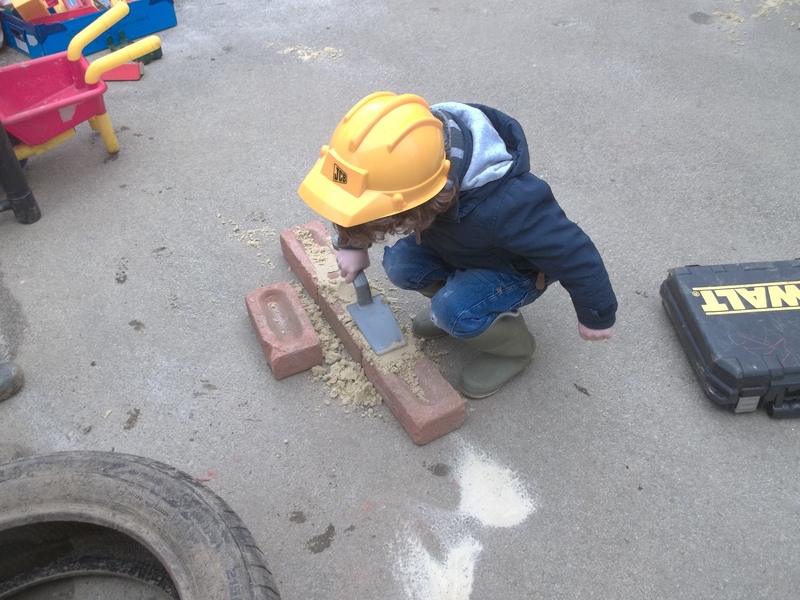 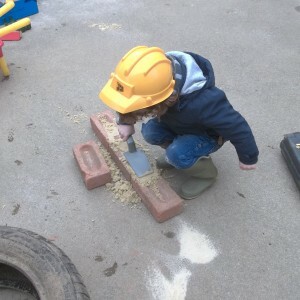 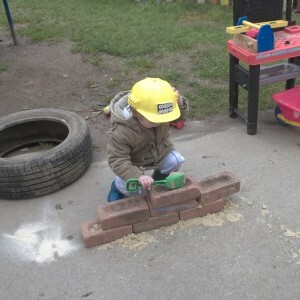 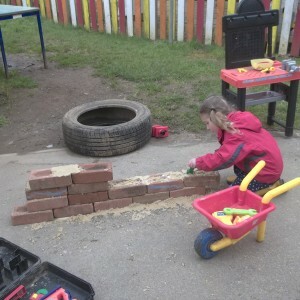 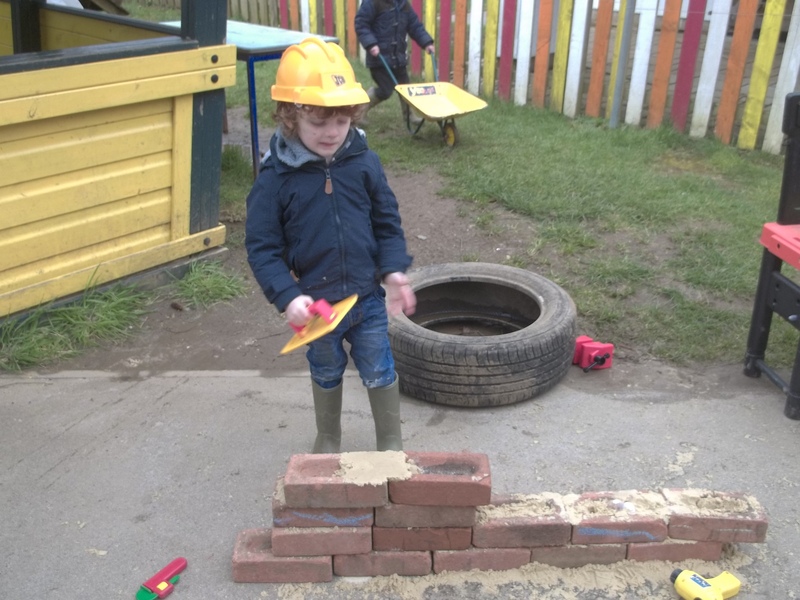 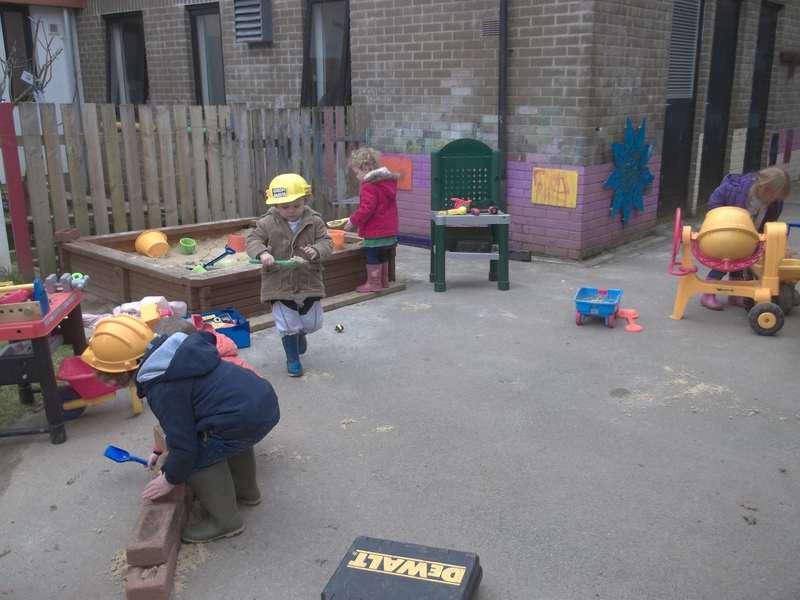 It was hard work lifting the bricks across our building yard! 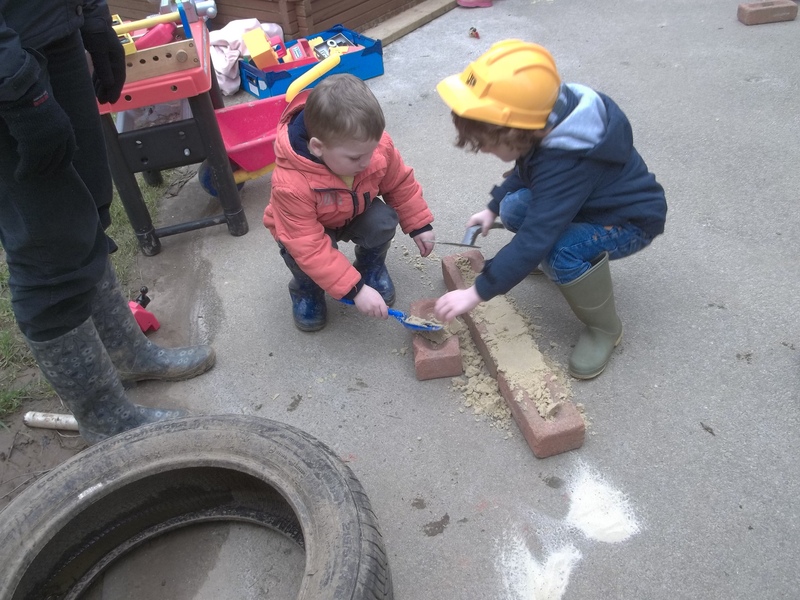 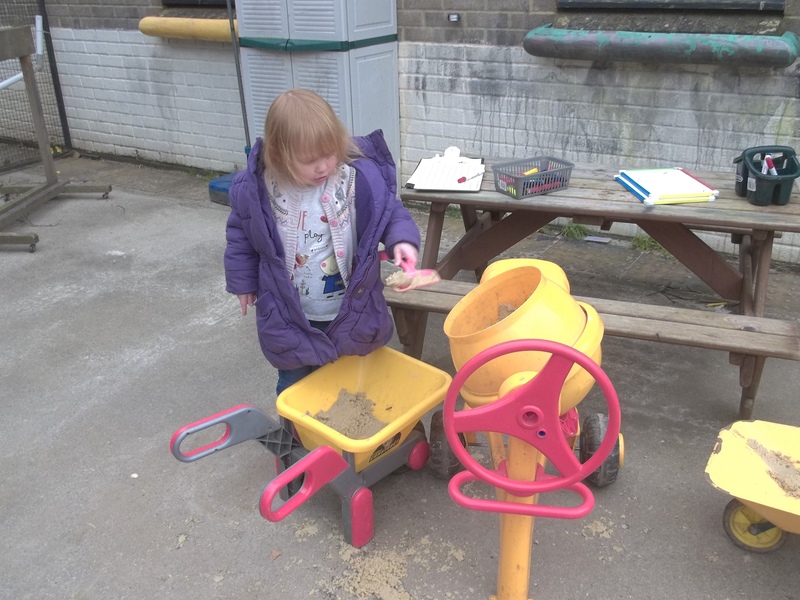 We used trowels and spades to dig the sand to make our ‘cement’ for our wall. 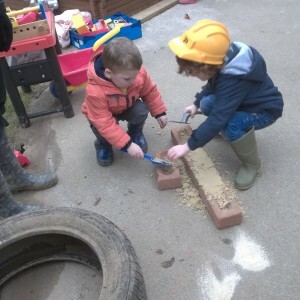 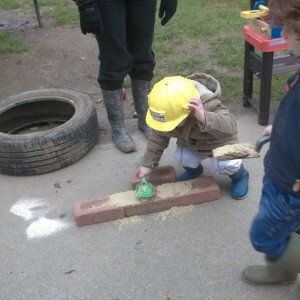 We carefully smoothed out the ‘cement’ to build up the wall bricks. 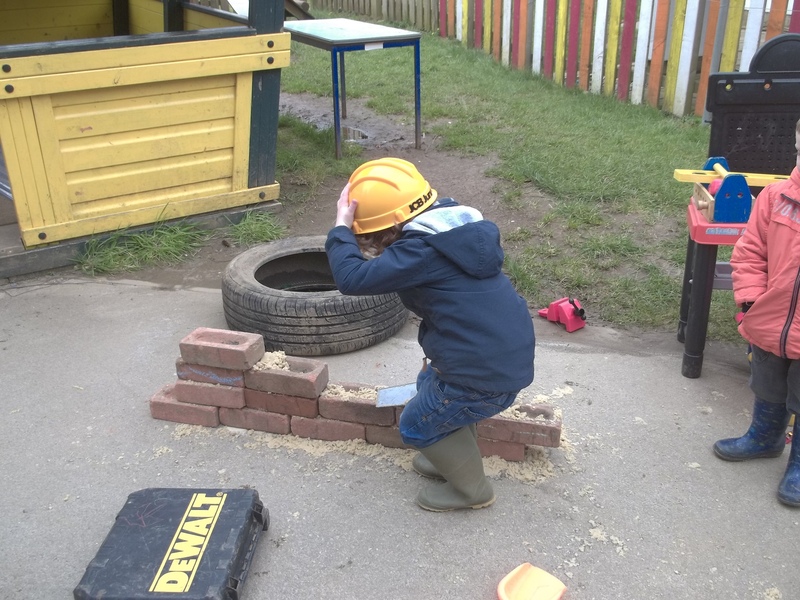 We built up our wall and wore our safety hats to protect our heads. 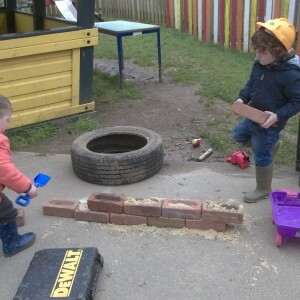 We were very pleased with our wall building! 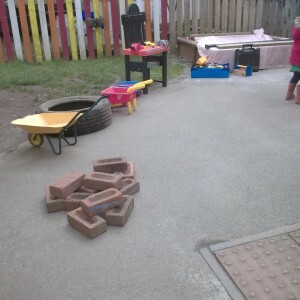 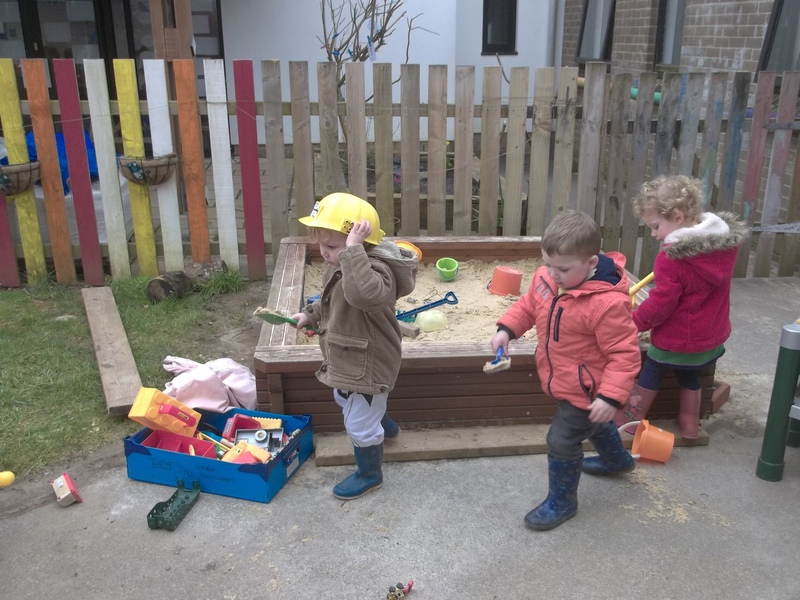 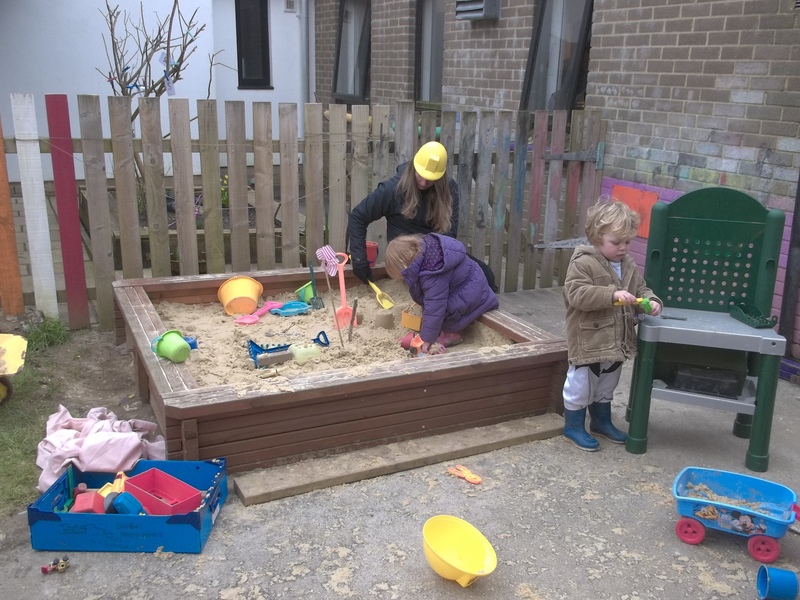 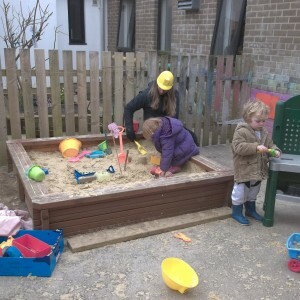 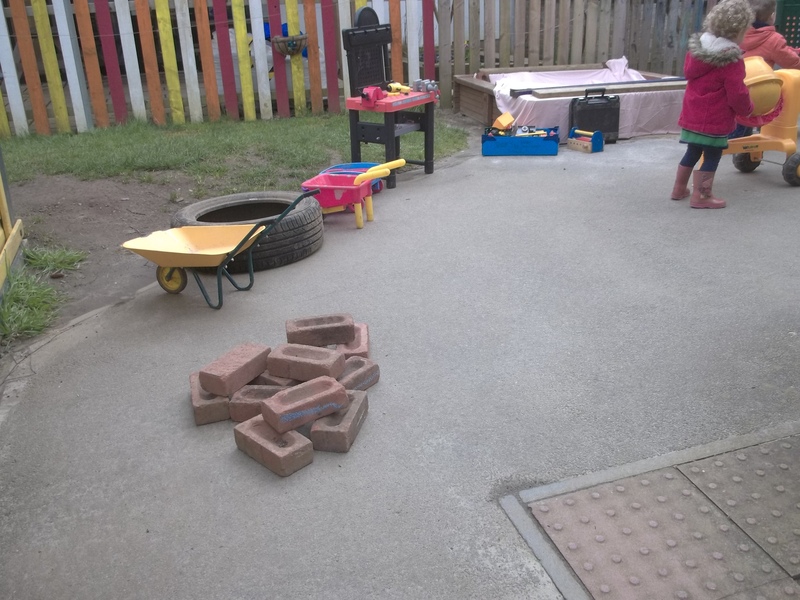 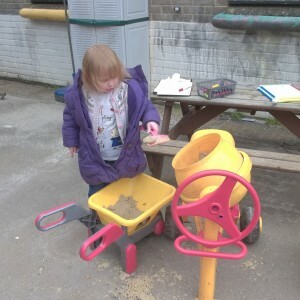 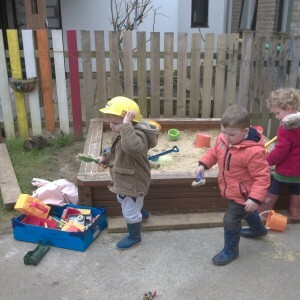 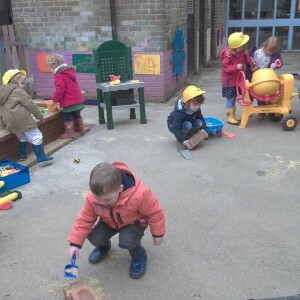 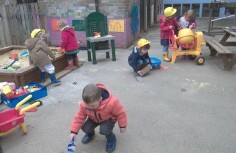 We moved the sand from the sand-pit to the cement mixer using wheelbarrows. 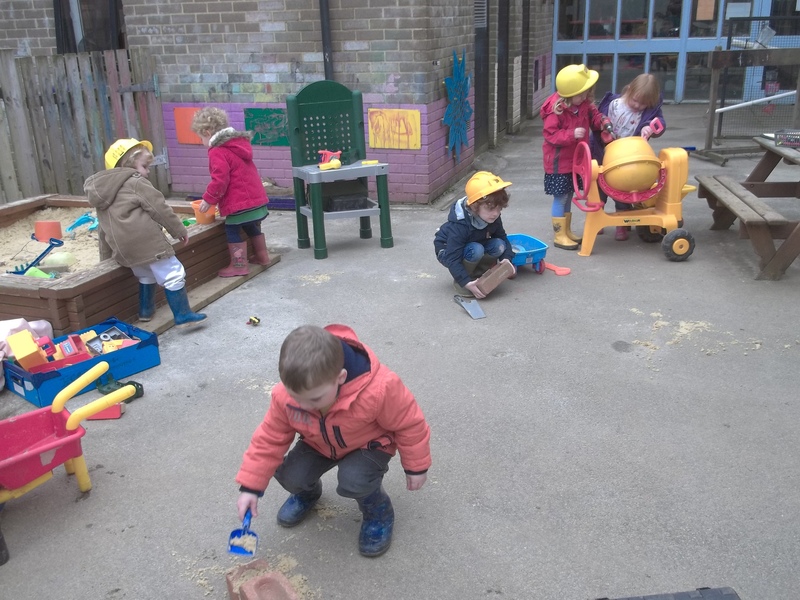 We all worked very hard together!